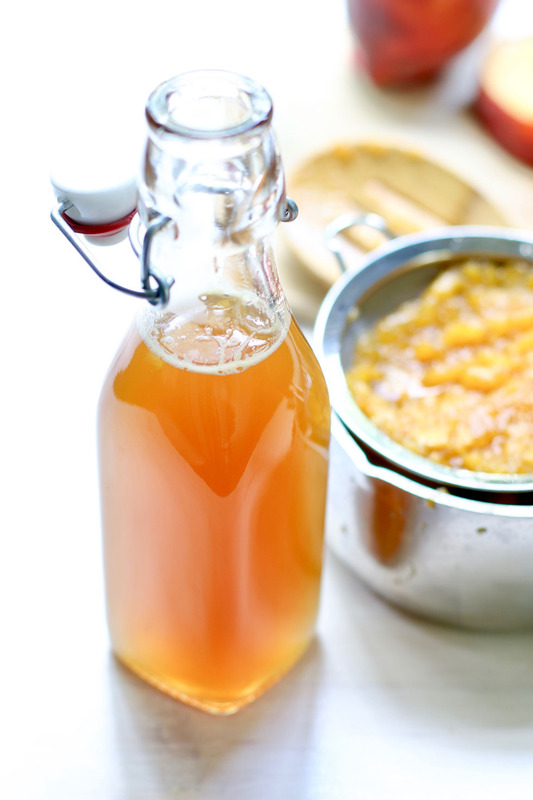 This Honey Peach Simple Syrup is made with fresh peaches and no refined sugars. It's so easy that you'll be done before you realize you've started! Heat all ingredients in a small pot over medium heat until the honey melts. Let the mixture steep for at least 20 minutes. Strain the syrup from the peaches. Save the spent peaches to stir into oats or yogurt or eat it like applesauce - or uh peach sauce. Bottle, cap and refrigerate the honey peach simple syrup for up to one week. Some peach particles will likely settle to the bottom, so be sure to shake it up before using.